Golf Bunker Mug to give him the push to up his game and improve his putting technique! Personalise this Golf Bunker mug with any name up to 12 characters, which is drawn in the sand bunker. The mug itself is printed and decorated with a high quality glossy finish! 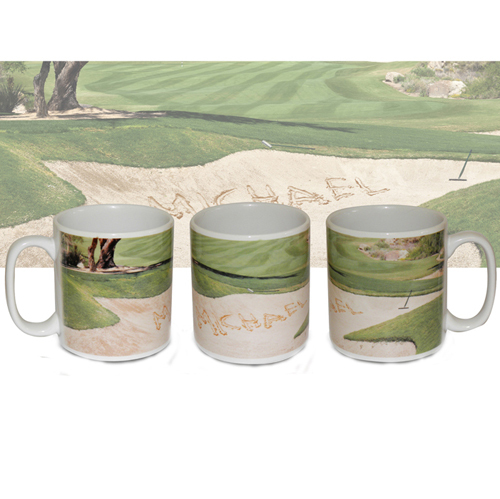 Personalise this Golf Bunker mug with any name up to 12 characters, which is drawn in the sand bunker.